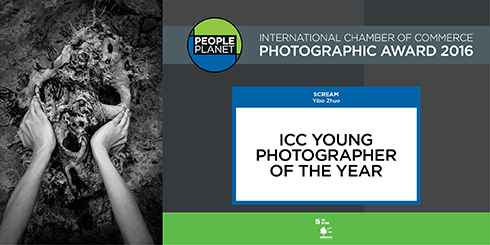 With submissions from more than 500 participants in over 60 countries, the second International Chamber of Commerce (ICC) Photographic Award focused on the human and environmental challenges raised by the United Nations Sustainable Development Goals (SDGs). The 2016 award winners were revealed on Tuesday night at a reception held at ICC Global Headquarters in Paris. 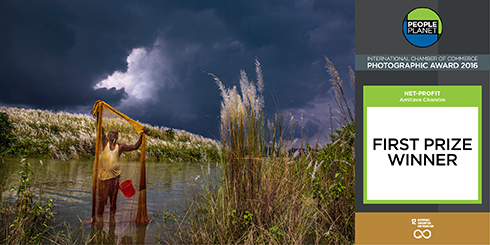 The winning photograph, “Net-profit”, by Amitava Chandra of India, captured the importance of sustainable production and consumption in terms of local livelihoods in the developing world. The Young Photographer prize (awarded to the best entry from a photographer under 26 years old) went to Yibo Zhuo for his work “Scream” which examined the impacts of deforestation in rural China. This year’s panel of judges, chaired by Mr Danilovich, included Anne Boussarie , Vice-President France of Getty Images; Agnes Gregoire , editor-in-chief of PHOTO magazine; Pulitzer Prize winning photojournalist Yannis Behrakis; and Naziha Mestaoui, the Belgian-Tunisian artist who created the 1 Heart1 Tree installation on the Eiffel Tower in 2015. The refugee crisis was a central theme of entries to this year’s award. In his remarks, Mr Danilovich underscored the role of the private sector as a partner of governments and intergovernmental organisations in implementing solutions to the ongoing crisis. Special speaker Ralf Gruenert, representative of the United Nations Refugee Agency (UNHCR) in France, also urged greater business involvement in solving this humanitarian crisis. Les Cuistots Migrateurs , a catering venture in France that employs migrants with culinary skills, delighted guests with foods from around the world. Founders Sebastien Prunier and Louis Jacquot expressed the importance of creating jobs for migrants and improving the public narrative on migration. The reception was also supported by sponsors Getty Images, PHOTO Magazine, Zeinberg and PUR Project. Shortlished entries to the 2016 award can be viewed on ICC’s Flickr page.